We are pleased to welcome Richard French into the Lion family. 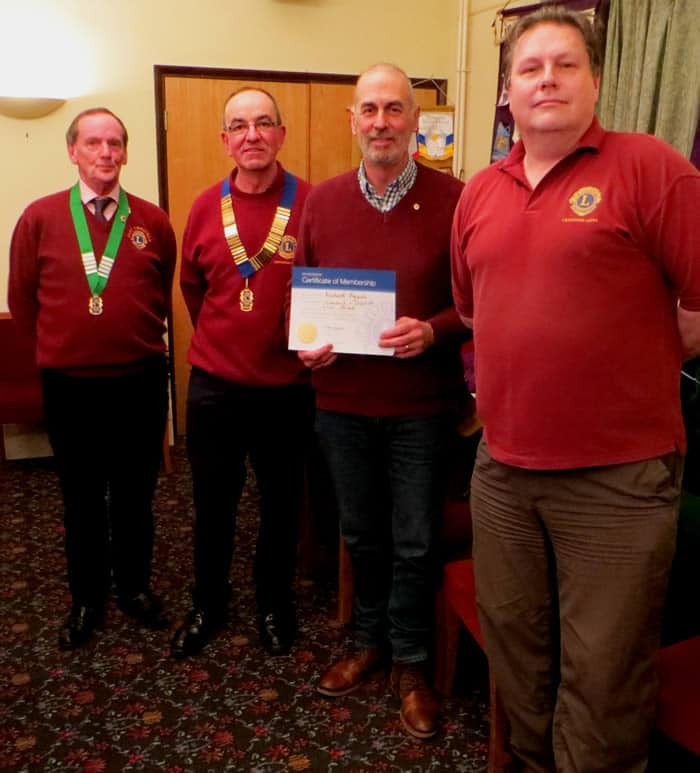 Richard was inducted into the Cranleigh Lions club on the 4th February 2019 in the presence of First Vice District Governor Elect Ian Forbes, (far left of picture). Richard was inducted by Lion President Derek Trawber, and supported by his sponsor, Lion Nigel West.